can anyone explain why rats fur fade so much in colour? my one year old female rat had a very dark grey stripe head to tail down her back when I bought her and now she's almost all white! 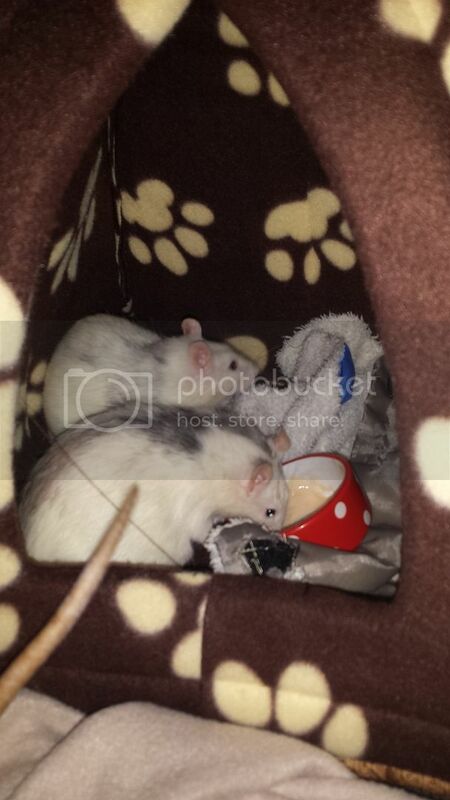 it was the same with 2 of my older rats grey to white in about 6 months. Re: Silly question? Where's their colour go!? Roans can fade to white or retain some of their grey. Remi was a roan, before I knew what roans were and his patterns changed weekly, he had a lovely grey diamond at one point, before turning all white. I don't know enough about why though. Thank caza! IV always wondered what type they are ! Is their pattern what makes them roan then? To be honest, I'm not very good on that side of things, hopefully somebody else can answer you. Roan is a marking, so yes. People often ask on here about their roans changing colour. Haha cyber ratty I do sense some angst against pet shops there ! it's doesn't bother me that they are changing colour, I just thought it was a ratty way of ageing (going grey) haha.